The following statement was published by the Authority of the Financial Regulator amid the controversy surrounding Anglo Irish Bank and Irish Life & Permanent. 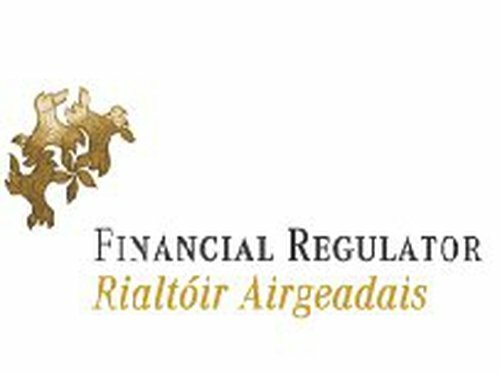 The Authority of the Financial Regulator met this evening (Friday, 13 February) to discuss its ongoing investigations into matters regarding Anglo Irish Bank and Irish Life & Permanent. The Authority has made it clear that over the period of the current turmoil it encouraged Irish banks to work together where necessary so as to continue to use normal inter-bank funding arrangements for liquidity purposes. The Authority utterly rejects any suggestion that this would have constituted encouragement of the type of circular transactions that have been referred to in recent reports and statements concerning Anglo Irish Bank and Irish Life & Permanent. Circular transactions, unlike normal inter-bank lending, do not provide liquidity to financial institutions. The Authority views the various issues that emerged in relation to the transactions involving these institutions as completely unacceptable. Investigating officers are on site in the relevant institutions and have been mandated to complete their work as a matter of extreme urgency. Over the past year the Financial Regulator met regularly with banks to discuss the evolving situation and to examine various funding options. The focus of these meetings was to ensure that Irish institutions could continue to use normal inter-bank funding arrangements at a time when international inter-bank funding had effectively dried-up. The meetings did not at any time focus on other types of deposit arrangements, such as those engaged in by Anglo Irish Bank and Irish Life & Permanent. This was a very different type of transaction to a normal inter-bank arrangement and by its nature had no beneficial effect in terms of providing liquidity. Financial institutions would have been fully aware that any arrangements made between themselves would have to be in full compliance with all necessary regulations and that all relevant disclosures would have to be made as appropriate. In undertaking its investigations, the Authority is working with the Office of the Director of Corporate Enforcement and will take all actions necessary and involve other authorities where appropriate.